At long last Nintendo is cutting loose with some details on the Nintendo 3DS such as a launch date, price and what games to expect. While the focus about the next iteration of the DS line has all been about the fact it will have a 3D display, it seems Nintendo is doing all sorts of things to the handheld device to make it more than just "a game". The inclusion of a Web browser, social applications, multiple cameras, video viewing, music playing and a pedometer (yes, this thing will measure how far you work) seem to be turning this into an all-in-one device. Convergence has been the name of the game for a while in electronics as people don't want to carry multiple devices any more, but it does seem they may have gone a tad overboard this time around. And the price for the 3DS reflects this. When it launches on march 27th you can expect to be putting down $249.99 to take one home with you. That seems a bit high to me, but the last handheld system I bought was a GameBoy Advance for $99, so what would I know? First-Party Titles "In the Works"
Sadly, Nintendo was coy with the dates on all of these, but at least you know they are in the initial launch window. What say you? 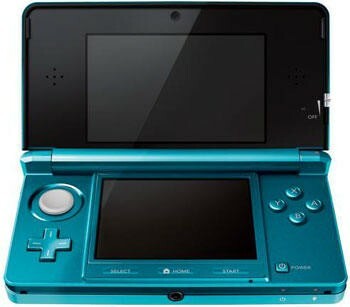 Are you ready for the Nintendo 3DS?